The whole Apple vs. Samsung debacle is starting to get a little too silly for words. We have two giant companies going at it tongue and nail over what really boils down to a couple of similarities in device design when. Really, how different can you make one slate smartphone look from another? That’s the same question Samsung asked of Apple when the pair were in court in the United States earlier this year, with Apple claiming Samsung infringed upon some of its patents. Apple, according to The Verge’s Matt Macari, returned with some suggestions of how the Korean firm could go about differentiating its Galaxy S and Infuse handsets from the iPhone, and the Galaxy Tab 10.1 from the iPad. The suggestions on the whole were legitimate, whilst one or two just reek of Apple being a tad clever. See what you think. With regards to the smartphone patents, Apple suggested that, amongst other things, Samsung could have tried the following as a way of making its Android smartphones appear substantially different to the iPhone. OK, we’ll give you those, though we do wonder what bearing the orientation of speaker holes has to do with much, but we’ll play along. But what about the Galaxy Tab 10.1? 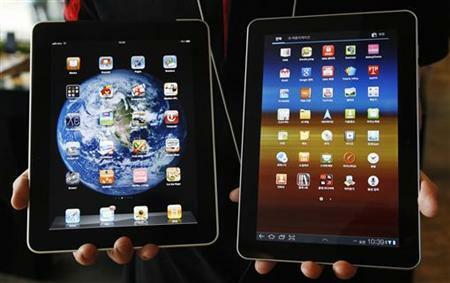 How was Samsung supposed to make it look less like one of Apple’s iPads whilst still, you know, making a tablet? Make a tablet with a cluttered appearance? We can’t decide whether Apple was just trying to be funny here, or whether they seriously thought it was a real option. 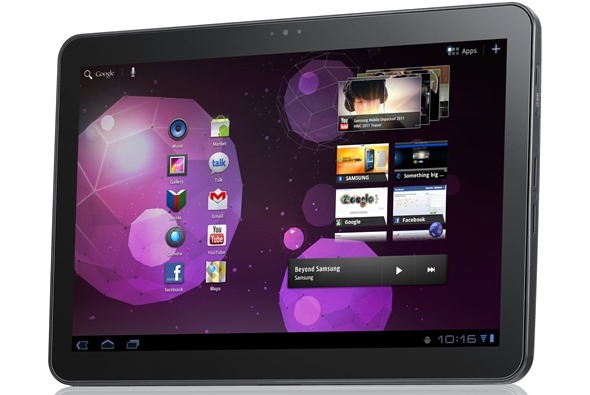 For their part, Samsung went away and redesigned their Galaxy Tab 10.1 and re-launched it as the 10.1N. Interestingly, they did take cues from Apple’s suggestions by changing those speaker grills and altering the bezel. Unfortunately, that wasn’t enough for Apple and they are back in court again. The speculation is that Apple isn’t really after Samsung but rather wants to slow Android down. If that is indeed the case, they’re doing an excellent job of pretending they’re out for Samsung right now. This will obviously rumble on for quite some time, but hey, at least it will keep a few lawyers in a job!